This rich cream is formulated with 20% Alpha Hydroxy Acid (AHA) to smooth and moisturise severely dry, rough and thickened skin such as knees, elbows and heels. 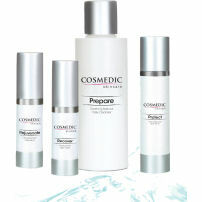 Significant improvement has been demonstrated in heavily calloused skin in as little as 3 weeks of once daily use. The highly emollient beeswax and skin conditioning oils help to instantly reduce skin roughness on contact. This new, fragrance-free formulation contains Pro-Vitamin E and Maltobionic Acid and also helps reduce scaling and flaking associated with hyperkeratosis and ichthyosis. 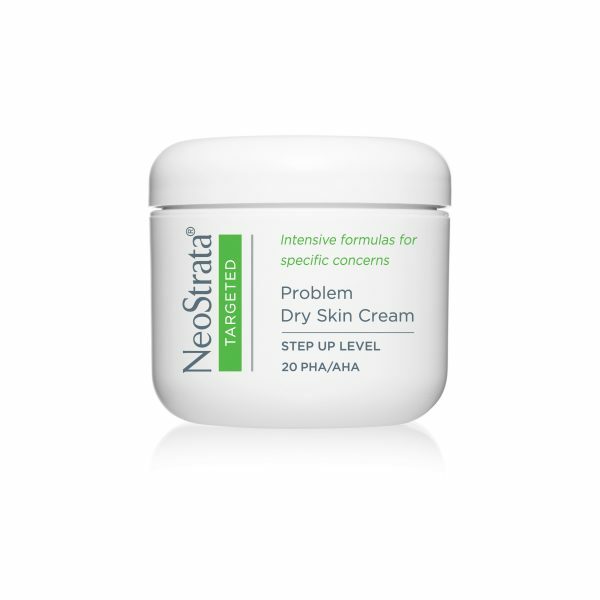 This NeoStrata Problem Dry Skin Cream is Formulated with a 20% concentration of AHAs including Glycolic, Lactic and Mandelic Acids, alongside exfoliating Gluconolactone, this intensive cream dramatically softens dry, flaky patches of skin while a highly emollient blend of Beeswax and Mineral Oil reduces uncomfortable tightness on contact. Ideal for use on scaly, rough, bumpy skin and cases of Keratosis Pilaris, this fragrance-free moisturiser can provide dramatic results in just three weeks.. This rich cream is formulated with 20% Alpha Hydroxy Acid (AHA) to smooth and moisturise severely dry, rough and thickened skin such as knees, elbows and heels. Significant improvement has been demonstrated in heavily calloused skin in as little as 3 weeks of once daily use. Created by dermatologists. Fragrance-free. Paba-Free. Apply twice daily to skin as tolerated. Reduce application to once daily or every other day on sensitive areas such as face, underarms, behind knees, bend of arms, and groin. Test skin tolerability on a small inconspicuous area of the body prior to using on sensitive skin or on children. Daily use of sunscreen or sun avoidance is recommended with use of this AHA product and for one week after to minimise the risk of sun sensitivity/sunburn.